1, 2, 4, 8, what comes next? Suppose you take a circle, put some dots along the outside, and then connect them, as in the picture to the left (which has 5 dots on the outside). If only two lines cross at any point, how many regions will the circle be divided into? Let’s find out! If you place 1 dot along the outside you can’t connect it to anything so you get one region (the entire circle). If you place 2 dots along the outside and connect them you divide the circle into 2 regions. By placing 3 dots along the outside you divide the circle into 4 regions. Click for colored drawings showing this, and also demonstrating that the number of regions does NOT continue to double! The Bovino-Weierstrass Theorem: In any bounded pasture containing an infinite number of cow pies, you can stand in one location where no matter how close you look, there are an infinite number of cow pies near your feet. Surely there must be more such fractured theorems lurking out there in our collective imagination… If you come up with any new ones, share them in the comments. It’s not perfect, and it only works for 7 of the 8 planets, but it’s still great for getting an approximation for how far apart to hang the glow-in-the-dark planets from your ceiling. 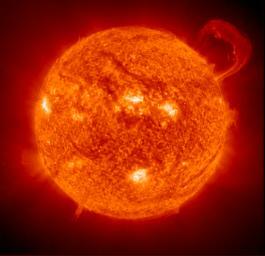 The distance from the Sun to Mercury is approximately 4 tenths of an AU (Astronomical Unit — the average distance from the Sun to the Earth), and the average distance from the Sun to Venus, Earth, Mars, the asteroid belt, Jupiter, Saturn, and Uranus is approximately [4+(3·2N)] tenths of an AU, where N=0,1,2,3,4,5, and 6 respectively. Isn’t that a neat equation? It was first observed by David Gregory in 1702 (in Latin; 1715 in English) in his book The Elements of Astronomy and is therefore named after Johann Titius (who published a German translation of a 1724 book by Christian Wolff that contained the same description) and Johann Bode (who read Titius’s translation and put it as a footnote in his own textbook). And here’s where I’m wondering if I can get my name added to the Law by virtue of just mentioning it here. Click here for a chart of how accurate it is, and also some history including a search for the missing planet between Mars and Jupiter! It’s the end of the semester here, which means lots and lots of grading to do (I know, I know—if I didn’t assign it, I wouldn’t have to grade it, right?). So I’m grading papers last night, and I have MTV Hits on for background noise (they’re showing Yo! MTV Raps reruns from 10-15 years ago—how cool is that? ), and a commercial comes on as I happen to take a break from eyestrain reading. It’s for a place called Cash Call, which offers fast loans (as in 1 day) over the phone or online, perfect for those times when life throws you a curve. Right? I believe it would actually be more financially responsible to buy a $15,000 car at 12% for 6 years ($293/month) and sell the car for $10,000 than to take one of these loans. There are plenty of loan calculators available online. All I can say is… do the math. jd2718 posted this in the comment section under last week’s Friday Fun, and it deserves its own entry. Warning: despite the fact that not a single word is added to the original Sesame Street video, it is totally inappropriate for kids. I fear that this will be a shaggy dog post. One of my students posed an interesting question the other day, and I found myself surprised by the answer. So here’s the quick version of today’s post: What’s the dimension of a tetrix? A tetrix is also known as a Sierpinski tetrahedron, and indeed it is like a three-dimensional version of the Sierpinski triangle, except that, being a fractal, its dimension is less than three. There’s a picture below (which I think of as upside-down), and also a cool java applet version here which you can spin around. Click for cool pictures of a tetrix and other fractals, as well as an explanation for what fractal dimension means. Some of my students gave a presentation today on graph theory, and talked about the Bridges of Königsberg. Königsberg was founded in 1254 and is part of the Russian enclave Kaliningrad. And it shows up in math talks because of its bridges. As a brief background, the Pregal River runs through the city and splits in two; there’s also an island, so there are four different land masses. 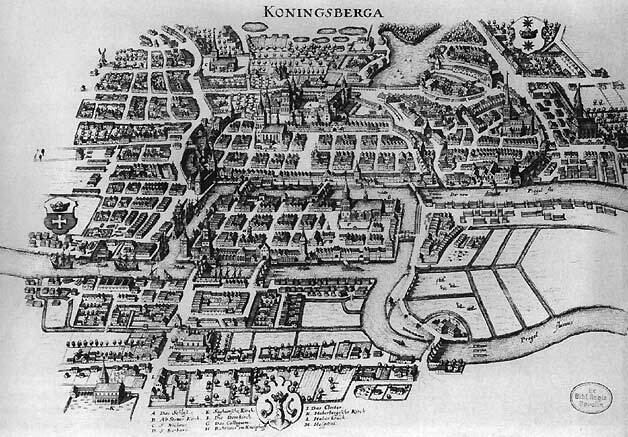 You can kind of see this in the following map from 1652 (which appears in almost any math talk on the subject): Click for the picture, and also for a cool satellite photo of Königsberg today (which I hid behind the jump because it takes a few seconds to load). There was an article Saturday on Science Digest about the odds of finding life on other planets: according to Andrew Watson (an Environmental Science professor at the University of East Anglia), life evolved fairly late in the game here on Earth, which suggests that it is more unlikely than likely to evolve on other planets. I found this rather depressing, but consoled myself with the notion that these kinds of probabilities are just guesswork anyway. After all, Dr. Frank Drake came up with his own equation in 1960 that (according to Wikipedia) suggests there are 10 civilizations in our galaxy that we might be able to communicate with. Of course, not everyone liked that equation either. Thinking about calculating difficult odds reminded me of one of my favorite light books on the subject: Life: the Odds (and How to Improve Them) by Gregory Baer. It appears to be out of print (looking at Amazon) but if you find a copy, it contains calculations of the odds of unlikely events such as marrying royalty (500 to 1 in the UK, with better odds for marrying male royalty than female), being audited (175 to 1 in just the year 2002; about 3 to 1 over a lifetime), and hitting a hole in one (12,000 to 1). What’s more intriguing to me than the actual odds is the reasoning that went into the calculations. Gregory, like Frank, had to make guesses for some numbers (and made some clearly incorrect assumptions, like that everyone is hetero- or bisexual), but it’s still interesting to see the details of just where those numbers come from. You can see those thought processes on a couple places online: the first chapter, Dating a Supermodel, is reproduced in full, while this ABC News article gives a summary of calculating several of the odds in the book. The thumbnail of Spiral Galaxies in Collision was the Astronomy Picture of the Day on April 20, 2008. Have you ever seen APOD? It’s got some amazing pictures! 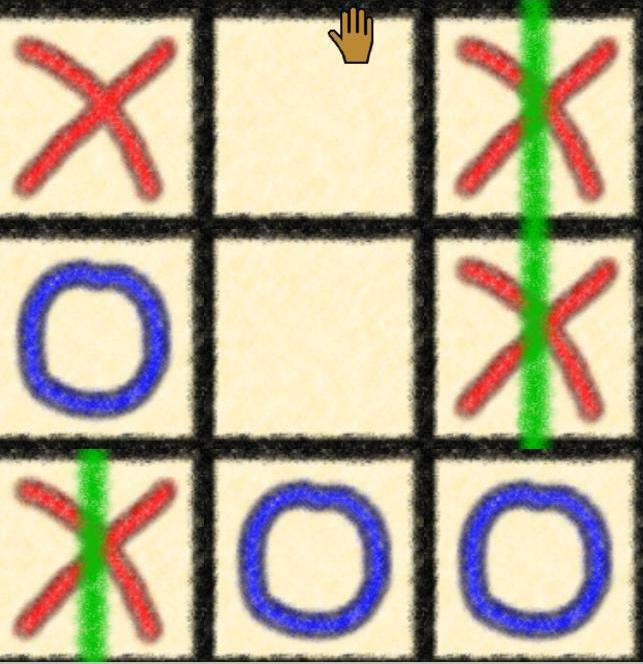 They were laughing and playing Tic-Tac-Toe. At 7:45am, no less. So I wandered into the math center to see just what was so exciting to the handful of math majors gathered around the computer before their Algebra class. Because it’s a Klein bottle, when you move down to the bottom it’s the same as moving up, but with left and right switched; the sides are likewise connected, although you stay in the same row. You can even hold down the cursor and move the board around to see how it behaves like an infinite board. It reminded me a little bit of Möbius Chess. Meanwhile, the students had moved on to exploring the shape of the universe. Not too bad for a Monday morning. HT: I first discovered these when Sol posted about them in February at Wild About Math! Passover starts today (in an few minutes or so). When I think of passover I think of matzah balls, and indeed there is a whole slew of matzo math (about halfway down that page) that was posted just a few days ago. But when I did a search on Passover, I also found a bunch of stuff about frogs, presumably because frogs were Plague #2 of the Ten Plagues. And when I thought of frogs, I thought of origami, which is automatically mathy because of all that geometry. 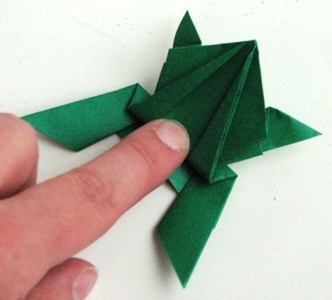 So here are directions on how to make a jumping origami frog! There’s a bunch of photos, so I put them all behind the jump. Let’s all go to the Carnival! 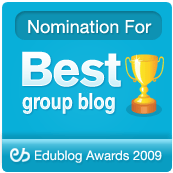 Recursivity is a blog about mathematics, science, politics, music, and religion. I especially enjoyed this post on math mistakes last month (since that’s a running category in our own blog). Bonus points for having a Blog name that my spellcheck doesn’t recognize [HAH! It doesn’t recognize the word “spellcheck” either! ] [Or “HAH!”]. I’ve been looking for regular heptagons lately, ever since I discovered them in cookie-cake lids and pill-boxes, Harry Potter tokens, coins, and architecture. It turns out that there are a whole host of regular heptagons over on flickr, which makes me happy. One vivid example that occurs in photography is flares in the shape of heptagons, as in the photo below by theilr. This occurs because of the shape of the aperture, and different lens designs will produce different polygons. This photo was taken with a Nikon D50; our old Pentax, on the other hand, produces pentagon flares. All rights reserved. Photo used with permission. Click to see many more real-life examples of regular heptagons!